Losing Me, Finding You by C.M. Stunich– I can't get enough of this author! This would make book #6 of hers that I've read this year, and I want more! Actually, I haven't started reading it yet, but hell if I'm gonna wait much longer. Do you see this cover? I mean, do you really see it? Those tattoos *gulp* I LOVE men with tats. And that body......Yeah, let me stop. 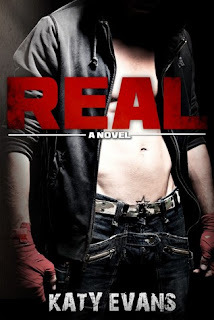 Real (Real, Raw, and Ripped #1) by Katy Evans– OH. MY. GOD. This book is amazing. I received it for review for the Real Blog Tour like, hmmm, yesterday, and I'm almost done. No lie. It's so great. I. HEART. REMY. I can't wait to spill my guts on May 3rd! Those are definitely some hot covers, nice haul!